Want to prolong the life of your roof? Having clear, clean eavestroughs directs the flow of water away from your roof. It can help lower your insurance premiums and prevent water damage to the siding of your home. Left neglected, clogged or gunked-up gutters can quickly turn into a nightmare. When eavestroughs are blocked by leaves, sticks, and other debris, water can build up on your roof. This may cause water damage to your roof and fascia, and even to the siding of your home. Left unattended for long enough, rodents and other pests may even make their homes in your clogged gutters. Eavestrough cleaning is essential to maintain a clean, undamaged, pest-free home. Cleaning your gutters or eavestroughs yourself is time consuming, extremely messy, and dangerous. Shuffling a ladder across uneven ground to dig decomposing leaves and other debris out of your gutters is a recipe for disaster. Complete Gutters has the staff and expertise to safely clean your home’s eavestroughs, removing all gunk and debris. As Vancouver’s gutter cleaning experts, we’re the eavestrough company you can trust for gutter cleaning needs. Contact us today to learn more about how we can prolong the life of your roof, and prevent eavestrough-related issues. Need Help with Gutter Cleaning? Vancouver’s fall months are the most taxing for your gutters. Even if you have maintained them all spring and summer, your gutters will quite probably be filled with significant amounts of leaves and debris. This is especially true if you have overhanging trees. Don’t have trees on your property? Birds, squirrels and other animals can still carry leaves and trash onto your roof! This causes a clog in your gutters, and can damage the roof to the point of needing repair. Ensure your gutters are clean and clear for the demanding fall months with a full gutter service from Complete Gutters. During Vancouver’s long rainy seasons, it is very important for the health of your home or property that gutters are clear and in good health. After all, it’s the gutters that direct water away from your house and foundation. 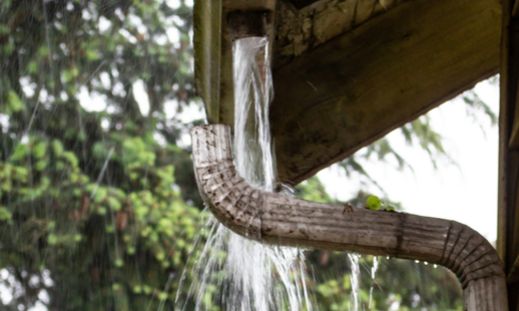 A clogged gutter or downspout leads to the risk of water backing up into your roofing, which could result in rot and other water damage to your home. 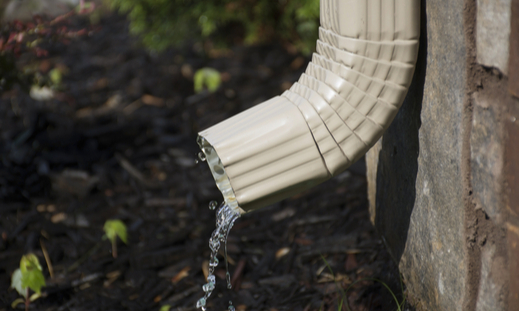 The gutter itself can be damaged by the weight or pressure of the debris, necessitating gutter repairs or replacement. Don’t wait for disaster! Complete Gutters will ensure that your downspouts and gutters are clean and ready for the demanding fall and winter months in Vancouver.